What is a commercial roofing system? What is a residential roofing system? There was a storm. Now what? My roof is leaking. What should I do? I see spots on the ceiling. What does that mean? What is hail damage? Can I look at my roof myself? My insurance company said I don’t have any damage, but a lot of my neighbors are getting new roofs. My roofer told me that I may need a re-inspection. What does this mean? How do I pick the right roofer? Should I give my roofer a deposit? I don’t understand this insurance paperwork! My roofer wants to see my insurance paperwork. Should I show him? What is the right price for a new roof? How can my roof save me money? I have other storm damage too. What about that? Can you absorb my deductible? A commercial roofing system is a globally used term for all of the required roofing components of a commercial roofing project. Each commercial roofing manufacturer puts together its roofing system with components that work together with other components. In a commercial roofing system, items such as underlayment, roofing material, adhesives, fasteners, and other components necessary for installation are all included in the manufacturer’s own system. A manufacturer requires you use only their materials and supplies included in its system in order to obtain a manufacturer’s warranty on the install. All commercial roofing manufacturers also require the installer to be certified in their roofing system and to follow their installation guidelines to be eligible for the manufacturer’s warranty. Much like the commercial roofing system, the residential roofing system includes several components required in the installation of a residential roof. Again, all manufacturers have four or five items in their system. These include the underlayment, shingle, starter shingle, hip & ridge cap, and valley material which complete the roof system. 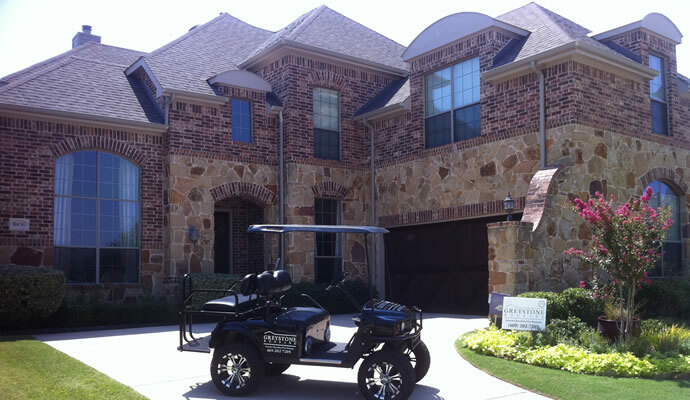 They enable the homeowner to receive the full manufacturer’s warranty on their system. We had a storm. Now what? First, don’t panic; Call Us. If it has been a bad storm and your roof has been compromised, contact Greystone Roofing quickly for an emergency cover. It will minimize the damage to the inside of your home. The insurance company will pay for this, as it will also reduce the amount of money they may have to pay if there is further damage left uncovered. If the roof is not compromised, then the urgency is not as great. However, there is still a need to have a roofing company come out and assess the condition of your property. Just because you can’t see the damage, doesn’t mean it’s not there. Greystone Roofing would recommend that you call us first to come and look at the roof. We will advise you of the condition, whether or not you have damage, and if you need to involve the insurance company. If you know or suspect that you have a roof leak, call Greystone Roofing for a Free Inspection. If you have some areas on your ceiling that are yellowed or stained, it may be from a water leak above the ceiling line. It may also be a plumbing issue, or it may be roof. Call us for a Free Inspection. If you see spots on your ceiling, there is likely a water leak of some kind above the ceiling. This could be a plumbing issue, but it could also be a roof leak. Either way, rest assured we will come out and provide our Free Inspection to help determine the source. We can also help you fix the stain or damage from the leak. Just call us! Hail damage can be a dent, bruised, split, or many other results of a hailstone impact on your Roof depending on the type of surface the hail hits. In most cases hail damage would not be visible from the ground. 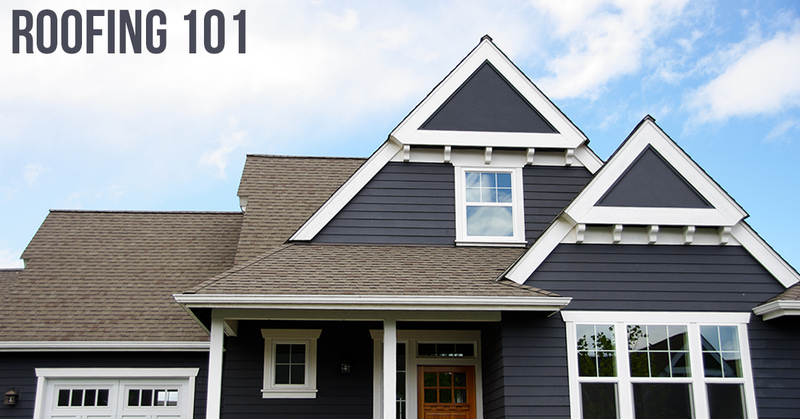 A homeowner should always get an experienced professional to assist with inspecting the roof. Greystone Roofing has many experienced professionals available to do this for you, whether your roof is Residential or Commercial. Give us a call to arrange a no-cost Inspection! My insurance company said I don’t have any damage, but several months later a lot of my neighbors are getting new roofs. Sometimes hail can miss your house, or your shingles may be newer or stronger. Sometimes the hail bruises can be overlooked by an inexperienced adjuster. After large storms, insurance companies may have to hire many new adjusters to handle all the claim volumes. Some with little or no experience. We run into this in every large storm. In a lot of cases where the hail is around the size of a golf ball, the bruises may not show immediately. The damage won’t be apparent until rainfall washes the granules from the damaged area. Sometimes an insurance adjuster is just having a bad day. This is why we recommend that you have a roofing professional come evaluate the Roof first. We can also be present when the insurance adjuster comes for their evaluation. Call us! A re-inspection is simply exercising your right, as the insured to a second opinion from another adjuster. Most insurance companies will gladly send a supervisor to double check your roof in case they might have missed damage in the first Inspection. * Remember, it is very important to get a different adjuster for your re-inspection. The first adjuster will likely not be happy you are questioning his findings. If the same adjuster comes out on a re-inspection, he will probably not change his opinion from the first Inspection. Our industry attracts many fly-by-night contractors, who operate out of the back of a pickup. Do your due diligence. Check how long the roofer’s been in business; do they have a facility outside their home? A very important step: check the business’ corporation status online. Many roofing companies simply change their name slightly over and over, eliminating their liability to warranties or lawsuits. Check references from other homeowners. Check supplier references and their credit status with those suppliers. Depending on the state they are working in, bonding and insurance may be required. Local organizations like Angie’s List, BBB or Google, are a good source for information as to the character and integrity of a company. Don’t always go with cheapest bid. Use your common sense – if something sounds too good to be true, it usually is. A lot of times, when you have done your due diligence as above, there may be a few roofers left from which to decide. Go with your gut, the one you get a good feeling about. If you can’t decide, ask a spouse, relative, or friend to join you in meeting with them and assist in the decision. No. You should never give money upfront to a roofer, unless you have ordered a custom/special product. A reputable roofing company will not ask for material costs upfront. Most roofers that are getting money upfront will probably not have a working relationship or history with manufacturers. Or, sadly, there are some of those aforementioned fly-by-night contractors that take your money and you never see them again. You should avoid any roofer requiring a Deposit – just call us! Insurance paperwork is not standardized. Accordingly, each company has a different format or way that it conveys the information to its policyholders. There are two different types of insurance policies. One is a “Cash Value” policy. The Cash Value policy only pays the actual cash value of your property at the time of the loss. This is calculated by taking the replacement value of the property damaged (roof), determining the age of the roof and subtracting an amount for depreciation (the older the roof, the greater the deduction is), and also subtracting your deductible (usually 1% or 2% of the home value). It ends with the cash value of the roof at the time is was damaged. You will only receive this one check with this type of policy. Again, replacement costs – depreciation – deductible = cash value. The second, and more common policy is the RCV, or “Replacement Cost Value” policy. The RCV policy allows for a recovery of the depreciation withheld, once the damaged property is restored. This is calculated much in the same way the Cash Value policy is. The replacement costs are taken, and the depreciation and deductible are subtracted, leaving you with your first check from the Insurance carrier. This is a cash value check. Once you have the property restored, you (or your contractor) will send an invoice for repair to the carrier. Your carrier will release the depreciation amount or the invoice amount – whichever is less. The remaining amount due is your deductible amount depending on your policy. If you do not restore the damaged property in whole, it is fraudulent to request and recover withheld depreciation. If this is still confusing, call us! Yes. You should always have your roofer assist you with the claim. It starts with meeting the adjuster on site and going over your loss sheet paperwork with you. In most cases the roofer can help you benefit more by seeing the insurance paperwork. It will not affect the price you pay or the agreement you make. There may be many other items your insurance company owes you for besides the roof. It includes gutters, windows, screens, AC units, garage doors, fencing, siding, and more. The answer to this question depends on many factors. For a Free Inspection, commitment-free quote, please contact our office. There are a couple of ways your roof can save you money. Installing a Class Four impact-resistant roof will qualify you for discounts on your insurance with many insurance carriers. The other way is by installing energy-efficient materials onto your roof. Items like IR reflective shingles, which are coated with a more reflective granular surface, allow for less heat radiation into the home’s attic. There is also a radiant barrier decking product, or a radiant barrier underlayment to help reflect the heat away from your building. It results in a cooler attic, usually materializing in lower energy consumption. Finally, there are roof ventilation products which enable greater air flow in the attic. There is even solar panel options for attic ventilation. If you are interested in any of these options, Greystone Roofing can assist you. Give us a call for more information! Greystone Roofing also has a construction department that handles everything unrelated to roofing. We can help with sheet-rock damage, damaged fencing, fascia boards, new paint or replacement siding even window replacement. Just call us! The practice of waiving deductibles is widely viewed as a gray area in the roofing industry. When a job is completed, the insurance carrier pays with the understanding that you are paying your deductible. Some carriers won’t pay their claim unless a contractor can prove that the Insured has paid the deductible. We imagine this practice will spread to other carriers. Greystone Roofing™ & ©2010–2016 All Rights Reserved.